…this is the mentality that most people have in today’s society and I am here to tell the girl scouts, as well as society that this is nothing but a myth. I was asked to teach this girl scout group how to make video games using Unity on Thursday and I realized it was important to empower the girls to realize that games are for any gender and to prove that I started my presentation of Unity with an image of my role model Roberta Williams. 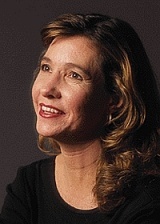 Roberta Williams was the co-founder of a video game company in the 1980’s and 90’s and she is credited with creating the “graphic adventure game.” She was a pioneer in the video game industry before video games even existed and I was proud to see the look of astonishment of the girls faces to learn that women have always been involved with video games. This knowledge seemed to give the girls power as I started teaching them Unity and saw that they were already 10 steps ahead of each step I showed them. Their eagerness was inspiring as we went beyond my original lesson plan and delved into the realm of unhindered creativity. Some girls learned so fast and so much that they started tutoring the others in things I had not taught them. A lesson that was supposed to last half of the day became an entire day event that I am told even stretched to the following day of camp without my guidance. The girls took what I taught them and built on top of it ten fold. One even told me she would have a fully working video game by the next time I saw her. The feeling of inspiring so many students at one time and watching them exceed and then surpass my expectations is almost inexpressible. This day was more proof that following this passion is the right path and I hope to inspire MANY more young women along the way. Tags: Americorps, Bernalillo, Coronado Historic Site, Design, Girl Scouts, Graphic Design, History, Kuaua Pueblo, New Mexico, New Mexico Department of Cultural Affairs, New Mexico Museum of Natural History, Preservation, Programming, Pueblo, Southwest, Summer Camp, Unity, Video Game, Video Game Design. Bookmark the permalink.